Using an automated multipulse acquisition approach and advanced algorithms, the iOLM is an OTDR-based application that delivers detailed information on every element on the link, in a single button operation—providing maximum intelligence and simplicity for expert-level link characterization. Powered by Link-Aware technology, the iOLM self-manages the setting of all test parameters—ready-to-use intelligence that dramatically shortens the learning curve. Minimize training, avoid test misconfiguration, and facilitate your technicians' transition from copper to fiber. With one click, the unit automatically performs link recognition, sets the optimal parameters and launches multiple acquisitions and multiple analyses—at multiple wavelengths—consolidating the results obtained for every link section and every network element. Get accurate information right away on each link element and export it to a single report. 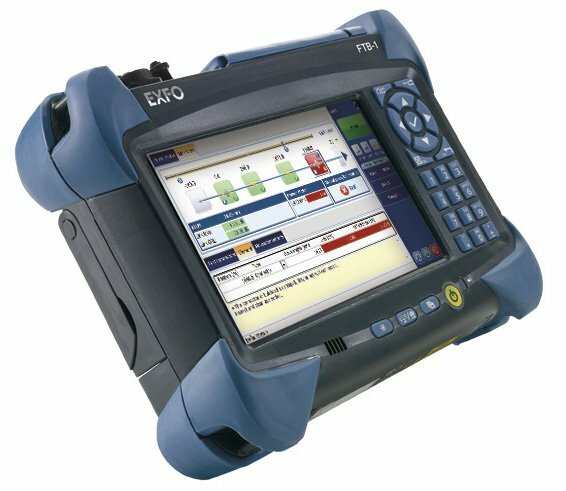 Leaving behind complex OTDR traces, the simplified link mapper provides a straightforward view of the fiber under test, with clear icons and pass/fail verdicts. Get actual results: end-to-end visual assessment of your link, complete with event characterization and fiber status.